So you’re looking for SpeedFan alternatives? Well, we’ve compiled a list of tools which fall in the same category as the software in question, delivering almost all features it offers as well as many more. The application being spoken of is lightweight, but quite powerful. It basically has multiple uses, the main ones being the ability to monitor the temperature of individual components including the CPU, GPU and HDD as well as adjust the RPM of each fan attached to the motherboard. It’s even capable of pulling data from EIDE, SATA and SCSI drives. The monitoring capabilities allow you to identify causes of common errors such as system malfunctions, constant restarts and also slow performance. Taking these features into consideration, we’ve put together the best candidates we could find on the market, both free and paid. You can have a look at them below. Also, be sure to drop in your feedback. We’re starting off this compilation with a freeware that’s designed for Windows and DOS operating systems. HWiNFO aims to make hardware analysis an intuitive task by providing you with a quick look at system components. The software not only delivers real-time status of the system, but also predictions of failures through alerts. The UI is customizable and you’ll be able to create error logs in Text, CSV, XML and HTML formats. HWiNFO is available for free in 32- and 64-bit version for Windows. You can also download various add-ons like the Rainmeter plug-in, a sidebar gadget and a RTSS OSD UI for obtaining senor values in DirectX applications as well as games. 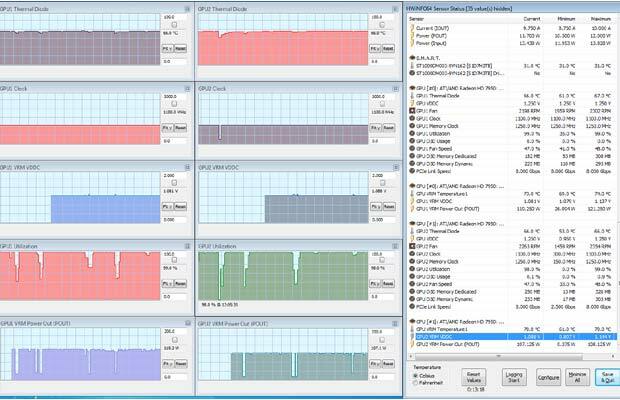 Our second addition to the programs like SpeedFan lineup is a full-featured monitoring tool for practically all hardware components you’ve got installed. 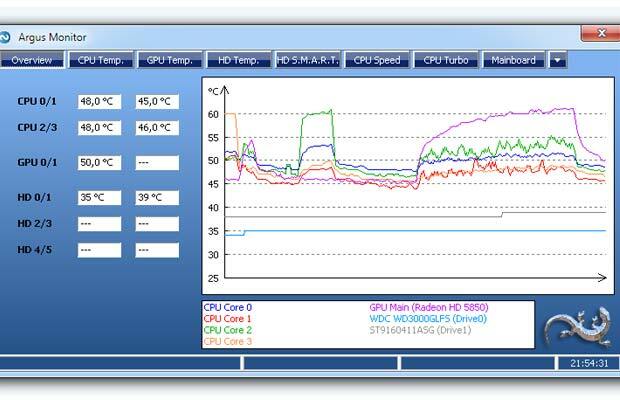 Argus lets you check the temperatures of your HDD, GPU and CPU in graphical format. It can also read S.M.A.R.T temperatures as well as alert you when a hard drive is about to fail, allowing you to safely backup data. Additionally, the tool provides means of benchmarking SSDs and HDDs and it lets you monitor the speed of system fans as well as control the fan RMP of Nvidia and AMD graphics cards. The company is offering the software with a 30-day free trial after which, you’ll have to pick up a license. The basic version comes for €14.95 or $19.95, while the Professional option is priced at €24.95 or $33.95. 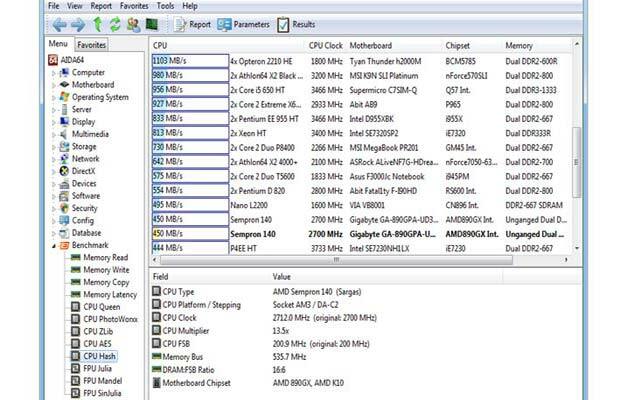 This software is not only a diagnostic tool, but also a utility to benchmark hardware. 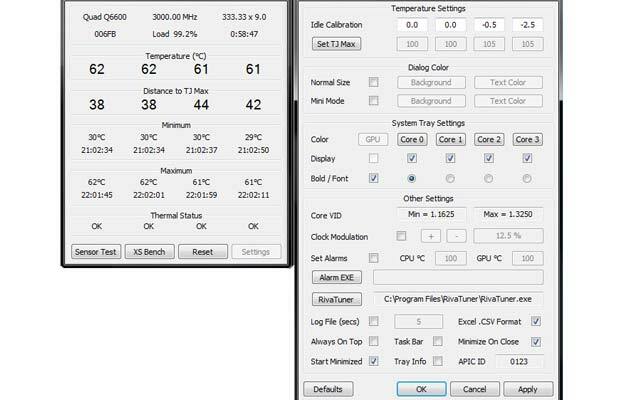 AIDA64 Extreme Edition has wide support for sensor devices allowing it to measure temperatures and other details such as voltages, fan speeds as well as power consumption. These values can be displayed via a sidebar gadget, an OSD panel and system tray amongst others. The software even lets you check the performance of hardware including the CPU, memory and hard drive, and run stress tests to ensure system stability. AIDA64 is compatible with 32- and 64-bit versions of Windows and it costs $39.95 for a single license. Unlike most additions on today’s software similar to SpeedFan roster, Real Temp is designed specifically for CPU and GPU monitoring. But it has one drawback – The software is only compatible with Intel processor, that too, anything above a Pentium 4. Well, it does support Nvidia and AMD (ATI included) GPUs. Real Temp utilizes a Fluke 62 IR Thermometer to gather temperature data and it also allows you to maintain logs of minimum as well as maximum temperatures of a CPU. There’s an alarm feature which can be set to notify if the GPU or CPU is heating up beyond a specified safe zone and you can even set the system to automatically shutdown in such scenarios. This software is free and it works on Windows 2000 or later. 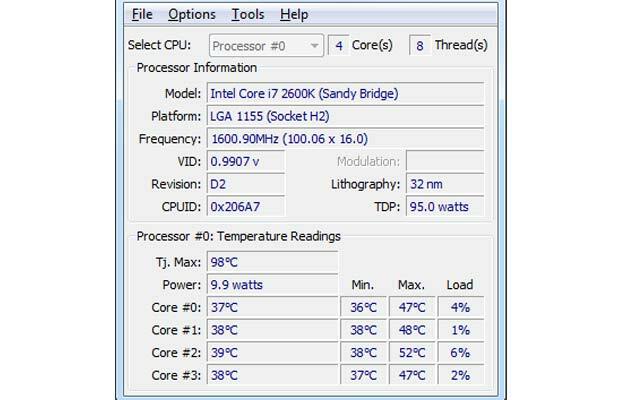 Core Temp does the same thing that Real Temp is designed for – It provides a convenient interface to analyze processor temperatures. However, unlike the latter, this one supports a wide catalog of CPUs from AMD and VIA in addition to Intel. Instead of leveraging conventional onboard thermal sensors, the software makes use of a DTS (Digital Thermal Sensor) which is embedded into processors. The company is even providing plug-ins and add-ons for enhanced customization. They include a sidebar gadget, a tool for displaying a graphic view of each core and access to data via a remote machine. You’ll also be able to monitor system temperatures through a dedicated Android and Windows Phone application. Core Temp is free to use. Closing our compilation of programs like SpeedFan is Desktop Control Center from Intel which is limited to Extreme Series desktop boards. If you’ve got a mobo from this particular range, the application will allow you to conveniently tune your system to get maximum performance. This is generally done by allowing you to overclock the CPU, memory and bus speeds. You’ll also be able to improve system stability and monitor as well as control voltages, temperatures, and fan speeds. For a specific set of motherboard models, Passmark BurnInTest and PerformanceTest benchmarks are made available for analyzing performance. The application normally comes with the drivers CD for the motherboard, but you can also download it from the company’s website. Now that you’ve read and learnt a little about the SpeedFan alternatives we’ve recommended, do you plan on getting any of the aforementioned tools? Do tell us which one’s you plan to use (or already have) and why by dropping a line or two in the comments below. Additionally, you could give integrated solutions a try which come directly from motherboard manufacturers on new releases.